Nothing says evil super villain better than a giant handlebar mustache! 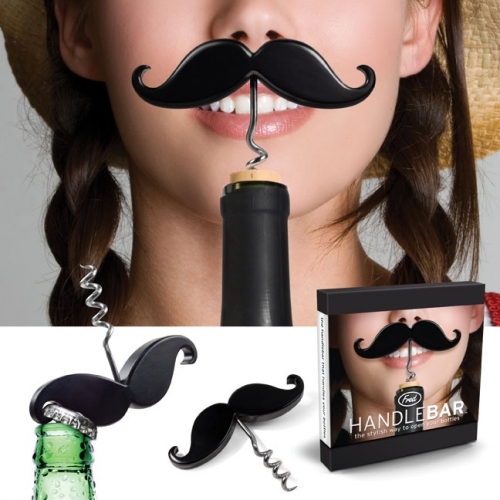 You'll have the mother of all 'staches with the Fake Handlebar Mustache. You can spend your nights tying damsels in distress to railroad tracks or just have fun with it at a party. 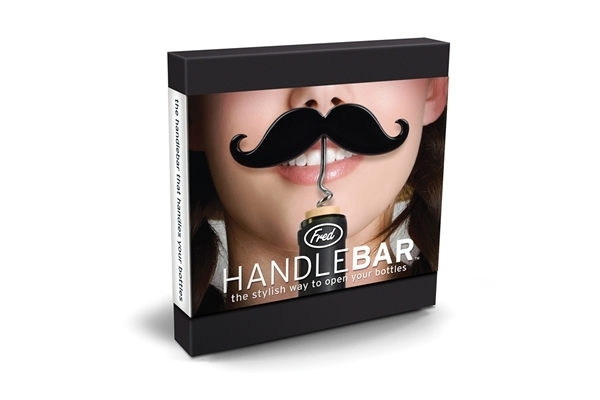 If you need the perfect lip-warmer to play Wyatt Earp or just tickle your wife's light fantastic...wink wink...then you'll love the handlebar mustache. Do you have a friend or family member that just can't grow facial hair? Then help him or her (we won't judge) out with this perfect gift. 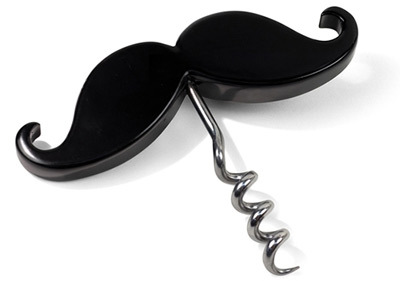 This wine opener was great quality and was the life of the party. My girlfriend loves wine so this was the perfect gift for her. Very good gift everyone loved it. It is quite surprisingly very high quality. This combo wine opener opens beer and wine.